Currently there are two separate account balances and top-up procedures associated with each student's onecard. 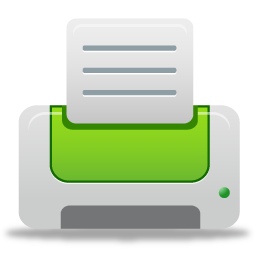 There is one account and process associated with printing and another account and process for general purpose transactions (e.g. bookstore or cafeteria transactions). Funds deposited into your Cash account (aka Flex account) can be used as payment for any onecard transaction, including printing. You are strongly encourage to add funds to your Cash account rather than your Printing account where funds can be allocated for any onecard transaction. * As students taking classes through the Faculty of Continuting and Professional Studies do not receive a onecard, funds can only be deposited to the Printing account. Upon enrollment to Sheridan, new students (Full-time, Part-time, Joint Programs, FCAPS) will receive a starting balance of $5 in their PaperCut account. Once a student's initial $5 credit is depleted, they will have to top-up their printing account via one of the top-up options listed below. To view details for your PaperCut account, log-in to the PaperCut website with your Sheridan credentials. * new TD debit cards that feature longer card numbers and chip technology are not currently supported. For details about purchasing print credits online, click here. Top-up credits can also be purchased from the locations listed below. Payment is by bank debit card only from these locations. Printing credits can be freely transferred between active students’ accounts from within PaperCut. Any such transfer is performed by the student. Sheridan staff will not facilitate or otherwise be involved in student-to-student credit transfers or disputes. There is no minimum amount requirement for transfers. Pleaser note: credits can only be transferred when you have funds in your PaperCut account. Credits cannot be transferred from your $5 starting balance. unused printing credits – printing credits are non-refundable. For further details please see Refund of Printing Credits.